“A Few Minor Adjustments: A Memoir of Healing,” by Cherie Kephart gives a first-hand account of the author’s long list of both physical and emotional ailments and her journey for answers. Pages in this book bring you from a small village in Africa where Cherie serves in the Peace Corps, to New Zealand where Cherie moved to on a whim, and then to San Diego. It is San Diego where Cherie found companionship and true friendship with a man who stuck by her side through each visit to every type of physician, specialist, and homeopathic healer known to the privileged population. It gives various accounts of the years in which Cherie remained undiagnosed, and generally untreated. I really loved Cherie’s fluid way of writing from one experience to the next, providing intricate details from her perspective about her various experiences. The strength of her character shined through in her tone. It was for me however, sometimes hard to follow given that the book started out with her in San Diego then quickly jumped to earlier events only to circle back around. There were also a lot of people revolving in and out of her life and those frequently introduced random people were often never mentioned again in the book. This could make it hard for a reader to understand the depth of the various relationships introduced, which would make it difficult to determine why they were even mentioned at all. 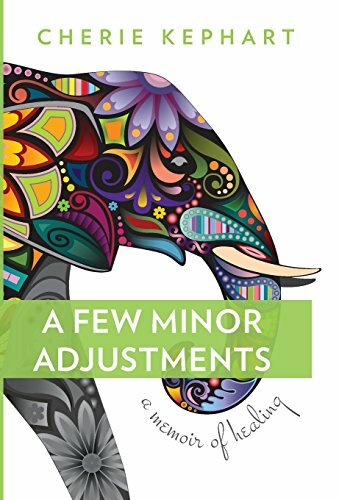 Overall, “A Few Minor Adjustments: A Memoir of Healing,” by Cherie Kephart does keep the reader yearning for more, given that it isn’t until the very end that Cherie discovers, (maybe) what has been causing all this pain and anguish in her life. A powerful message, this book is a memoir of healing, but not what the reader may suspect at first glance.